Argentina is approximately 2,268 miles from North to South, from East to West it is 889 miles. Argentina is the second-largest country in South America covering the most of the southern peninsula. 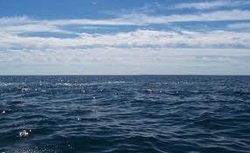 Argentina is surrounded by the Atlantic Ocean. 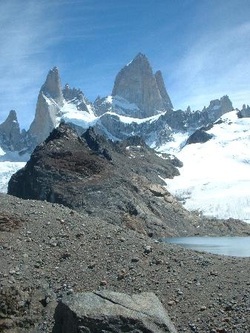 Argentina also holds the highest peak outside of the Himalayas called Cerro Aconcagu near the Chilean border. On of the most striking feature of Argentina is the Andes Mountains. To the east of the Andes in the mountains rain shadow in the broad Patogian flatland a semi-desert plains dominated by short grasslands and low shrubs. Argentina has been characterized as very hot, & humid summers, with mild drier and is subject to droughts during the winter. Argentina has the record high temperature on South America of 117 F in Campo Gallo, Sanitago del Estero Province on Oct 16, 1936. The lowest temperature was -40 F in Vallas de Los Patos Superior San Juan on July 8, 1966. In Argentina there is a wide variety of animals and plants. In Argentina there is the Pink Fairy Armadillo, Patogonian Possum, Chacoan Pygmy Possum, & White Streamed Pack Hodded Grebe. Argentina is also known for its wide variety of plants, there are Ombu Tree, Notho Fagus, Notro, Ceibo, & Hullahunuh.